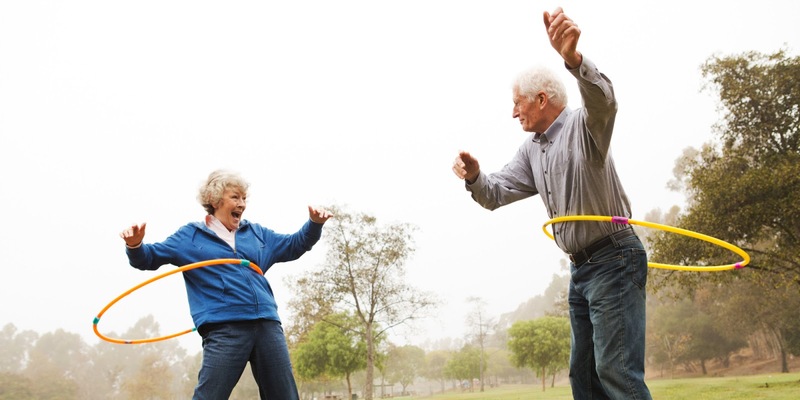 There are several reasons why exercise regimes often fall by the wayside as one gets older. The problem is not the exercise routine itself, usually. The problem may actually be in the imbalance of hormones and nutrients in a middle-aged woman’s body. There comes a day when many women are tempted to throw in the towel regarding regular exercise. After years of pumping iron, peddling for miles, pounding the pavement, aerobicising with Jane (or Denise, Debbie, Gilad et al) it seems that the battle of the bulge is an uphill struggle, and a struggle that at most simply maintains a shaky status quo body-wise. For those who’ve never exercised much, the battle is lost before it’s even begun. Fat, flab, bat wings and rolls pop out at random. Despite some disappointment in exercise and its results, it's important to remember that exercise does help, even though physical results may not be as dramatic as they once were. Exercise may be keeping many diseases at bay, such as cancer, Type II Diabetes, high blood pressure, and depression. Exercise helps keep bowels functioning properly. It also improves circulation and gives one a sense of accomplishment and well-being. It also slows down the inevitable decline in general. At some stage in one's life (the earlier the better) a person must come to terms with the number of poisons and toxins she is ingesting each day. Responsible and healthful selections of food will help greatly in the fight to maintain health, weight and physical appearance. There are a myriad of excellent resources to help one understand the necessity of taking care of the body nutritionally. Diana Schwarzbein’s The Schwarzbein Principle is a good place to start. It may be that natural hormonal decline as one ages has more to do with one’s sagging muscles, growing middle and thinning hair than any other factor. There is a mountain of information available for those who wish to learn about bio identical hormone replacement. Despite the controversy over these hormones, there is a growing interest and demand for them. Medical practitioners tout these bio identical hormones for helping with all manner of physical problems. Neal Rouzier, M.D. in How to Achieve Healthy Aging, (WorldLink Medical Publishing 2007) notes that bio identicals help people improve their daily life, from sagging libidos to heart disease, high cholesterol, Alzheimer's Disease, osteoporosis, stroke, skin atrophy and other conditions. There is no magic pill for living well. The desire to live a long and healthy life requires commitment to exercise, good nutrition, stress reduction and, for some, bio identical hormone replacement therapy. Exercise many not seem such a burden when one is feeling well and is energized.